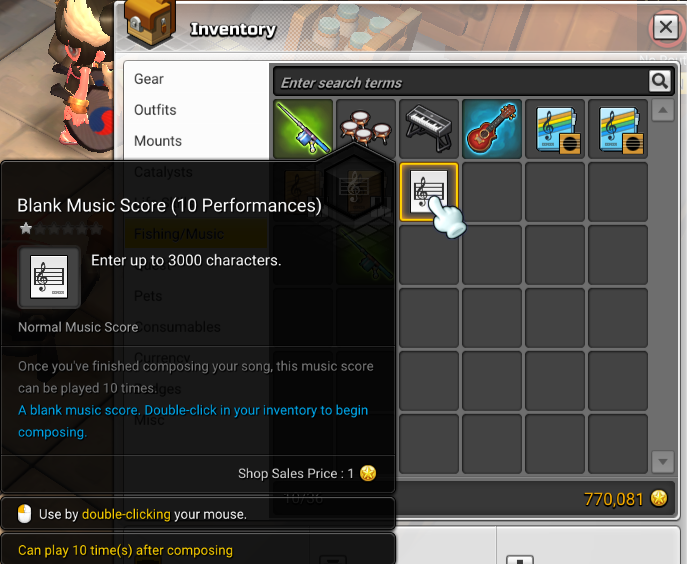 When viewing a song record, click on the green button to download that songs MS2MML file. Now to get the song in-game! Begin by opening a blank music scroll. Double click on it to open it! Next on the composer screen click on the "Open File" button, and navigate to where you saved the songs file that you downloaded from Maple Beats! 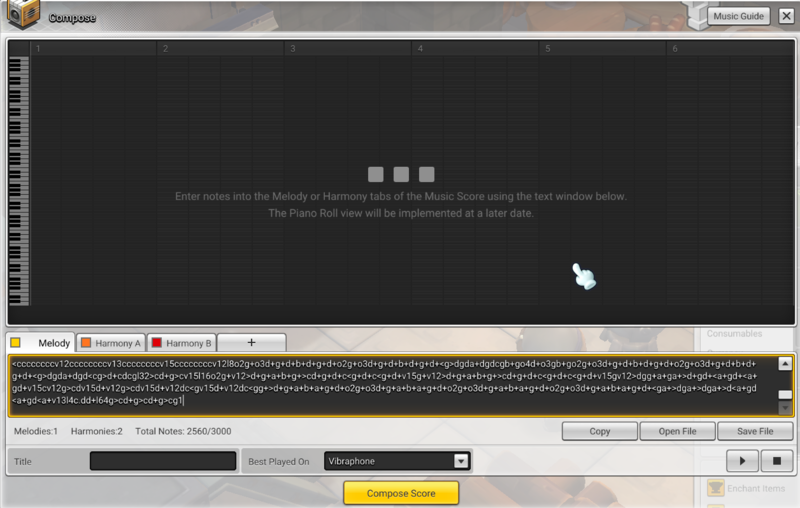 Make sure you put in the title for the song, and the Best Played On instrument choice, and then hit compose! 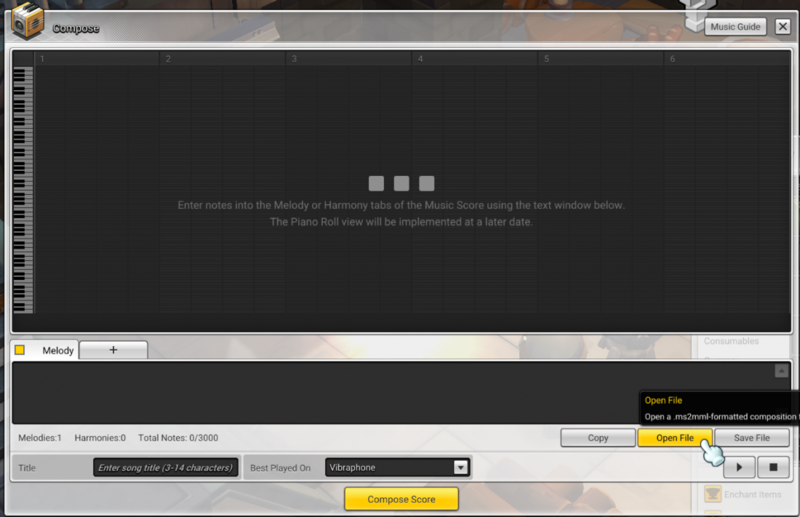 You can also hit the play button on the right before composing to make sure it sounds ok and imported correctly. If you import a song from a Maple Beats file and find that it does not sound right, please let us know by reporting the song submission! this doesn't work for me. The game tells me the file is incompatible. Report the submission with the issue, there are over 1000 submission on the site this post does not tell me which one you were looking at. When you are viewing a submission, there is a "Report Submission" button at the bottom. Use that to let us know if a file is not loading in-game. When looking through the submissions, I see the format of the songs below the play area, but I can't seem to read it. As I do not see the download button, I'm trying to understand how to take the copy pastable area into something I can use. Could I have a bit of clarity? It'd be greatly appreciated. It seems that you need to have each track in the song to have a tempo set in order to play it properly, it does not share any functions or code from the other tracks in one song. This means in theory you could 'hack' together a song with different tempo for different segments of the whole song, to fit multiple songs in them, you just gotta guess how long a song lasts for and make the tempo super low with long rests to skip until the end of the 1st song, to start the 2nd song. If you do not see a download button, but instead code boxes that means you are in the MabiBeats section which is for the game Mabinogi. It has some slight differences, and the MML code there will not always be compatible with Maple Story 2. The website search will search all sections automatically unless you specifically tell it to only search MapleBeats Solo's, etc. Maple Story 2 compatible songs will always have the green download button. 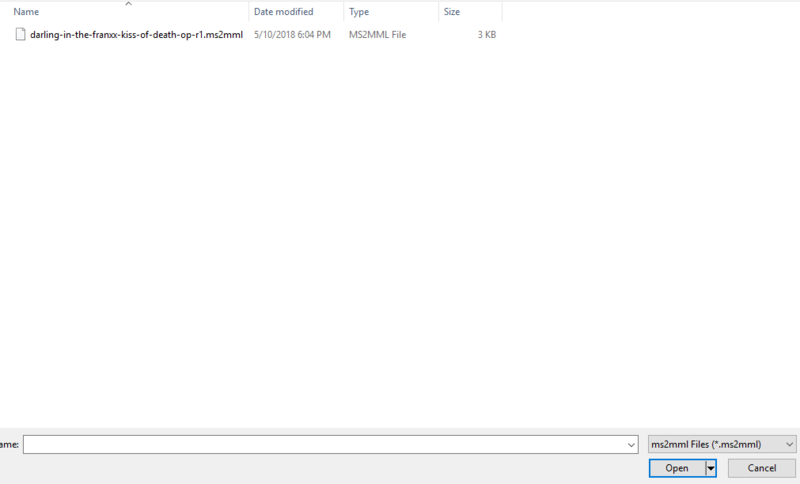 You don't open the file on your computer, you download it and then open the file inside Maple Story 2 in the composing window. Hey! So lately I've found that a lot of song pages have been opening new web pages with the mml file content rather then prompting a download message when the download button is clicked. Is there a solution for this? Okay! I'll be sure to use chrome for now while you guys work on that. Thanks! Sorry this sounds dumb, (not the best technical person) but how to turn the MS2MML file into saved file? They do work properly, there is probably just an error with that one specifically. Use the "Report Submission" on the song post that has the ms2mml file error so it will alert us in the staff queue so we can fix it. You don't, You use the MS2MML file in the game. If you are talking about the MML save files, that is done through 3MLE. I have the same error V10_NA had. I don't think it's the problem with submissions being broken, it's some issue on MapleStory side as out of about 20 MS2MML files I've downloaded NONE worked even though i used the top rated ones. The way i worked around this is open the files in notepad and manually copy the codes into the composing window. If anyone has figured out what is causing this issue and possibly found the solution i would gladly hear about it. I don't think it's not the problem with submissions being broken, it's some issue on MapleStory side as out of about 20 MS2MML files I've downloaded NONE worked even though i used the top rated ones.